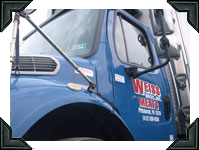 While the world has changed in many ways since Milton Weiss opened his first shop in 1948, our family's commitment to provide our wholesale customers with great service, superior quality products, and fair and honest prices continues been our primary mission. As business owners ourselves, we understand the importance of having suppliers you trust who are easy to work with. Worrying about the cost and quality of the meats you buy is an extra headache you don't need. That's why so many grocers, restaurants, banquet halls, catering companies, and even prisons and hospitals buy from us. Our experienced sales associates are experts at their jobs, each specializing in specific types of businesses, to ensure the person you're working with understands your business and what makes you unique. 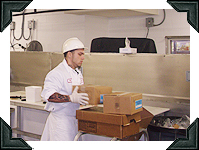 From our state-of-the-art processing facility to our fleet of 9 climate controlled, refrigerated vehicles, everything we do ensures your product arrives at your place of business safely, quickly, and ready to use. 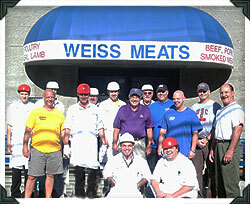 Since 1948, the Weiss name has stood for quality, value and service. It's reputation were proud of.